Speaking to current trends in interiors, Caesarstone offers three concrete-look designs. Caesarstone surfaces are non-porous and easy to clean, making them perfect for bathroom surfaces. Creative applications of Caesarstone from around the globe. 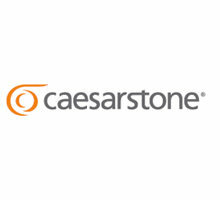 Thanks to Caesarstone Australia and Caesarstone SEA. Laminex NZ launches the Supernatural range - 4 exciting new Caesarstone designs! All photos by Sean McCabe, except where specified.